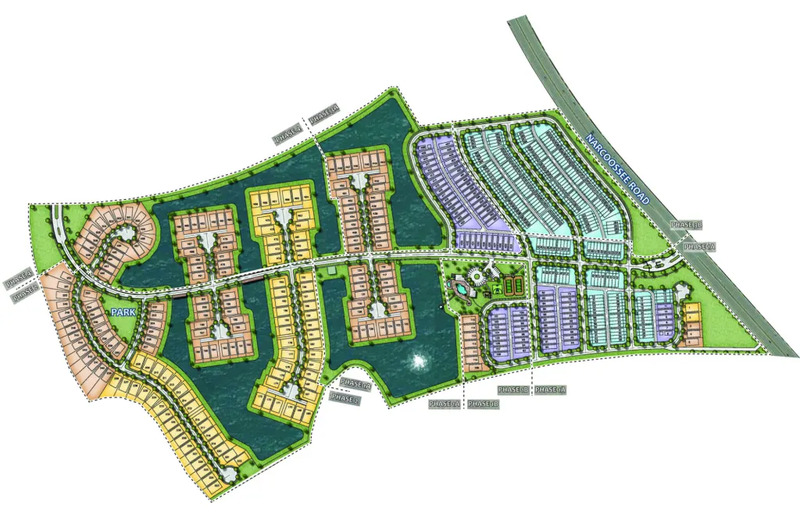 Coming in 2020 will be Lake Nona's newest neighborhood, the Isles of Lake Nona. Similar in style to the ever popular VillageWalk neighborhood, the Isles of Lake Nona will feature interconnected lakes and ponds allowing beautiful waterviews for many of the homes in the neighborhood. This new gated neighborhood will be built by Pulte Homes and will come with the latest smart home technology and energy efficiency design and appliances. The neighborhood clubhouse will offer a resort style pool, cabana, tot lot and tennis and basketball courts. See how the Isles of Lake Nona's amenities compare to other Lake Nona area neighborhood amenities. Where is Isles of Lake Nona? The Isles of Lake Nona Neighborhood is Located - off Narcoossee Road, just South of Lake Nona Middle School and the Publix Shopping Center. This prime location will provide quick access to the 417 expressway and the Medical City area. Orlando International Airport is approx 12 min away and both Downtown Orlando and the Walt Disney Resort area are about 25 minutes from Isles of Lake Nona depending on which direction the 417 you go. The Fell's Cove is directly South of Isles of Lake Nona and the massive Eagle Creek neighborhood is just across Narcoossee Road. All properties including homes, townhomes and bungalows in Isles of Lake Nona - are being built by Pulte Homes. Pulte was the builder of the vast majority of the homes in Lake Nona's VillageWalk neighborhood and has over 65 years of building experience behind them. Properties will feature open concept floor plans, designer finishes and energy efficient features. Pulte Homes was also the sole builder in the Enclave at VillageWalk neighborhood as well as Lakeshore at Narcoossee and Split Oak Estates neighborhoods which are just South of Isles of Lake Nona making them one of the most experienced builders in the Lake Nona area. Look for the first models to be available to view in early 2020. Please check back on our site for updates as this neighborhood is developed.